Hot Leathers Holy Toledo Skull Ring Silver | BUDK.com - Knives & Swords At The Lowest Prices! 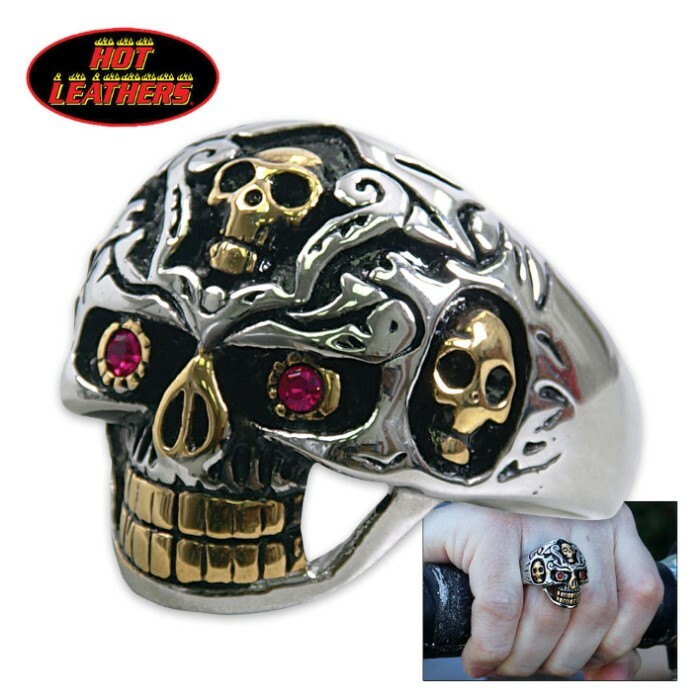 The Holy Toledo Skull Ring by Hot Leathers is an aggressive looking ring the will add some edge to your style! It is constructed of high quality 316L stainless steel for long lasting durability to ensure that it looks great for years. It comes in sizes 10, 11 and 12. This ring is heavy and awesome, I don't know long the gold plated and color will last but I totally think this is one of the most coolest rings I have ever owned, and I have many, Buy it, if your into skulls or biker dude like me. LOL I saw this more as a Día de Muertos (not Día de los Muertos :D) ring than a biker ring. Whatever it is, however you see it, it is one solid, heavy, mutha! The one flaw is that it's sizing is a little too big. I wear a 10.5 and ordered an 11, since BudK doesn't seem to like half sizes, but this thing is WAAAY too loose! For that it loses a star. Other than that, it is an awesome value! 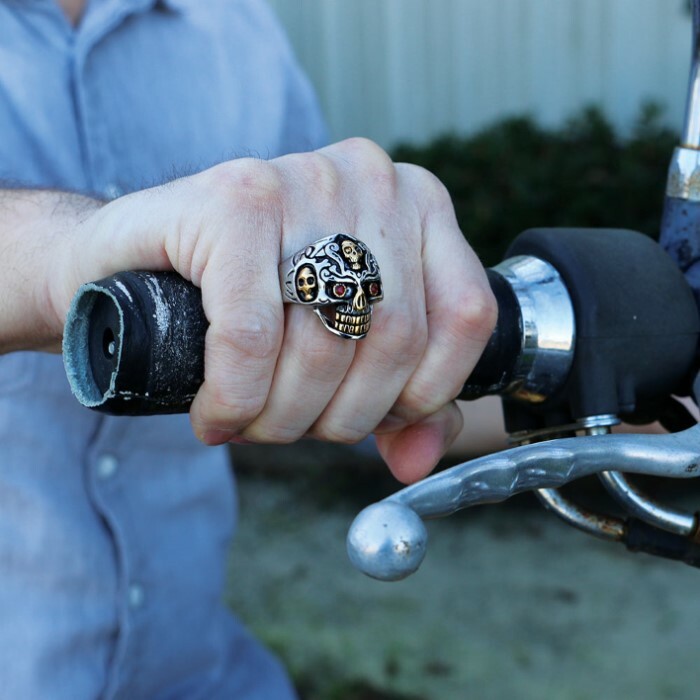 This is a sweet biker ring. I bought this and 11 days later it showed up and I was amazed. The only problem was I ordered it to big and I wrapped tape around the bottom but every thing else was fine. Well some the money.